My 2nd girl, Lyanne was once crazy about all things yellow... and that makes Belle her favourite Disney Princess. Back in 2013, I made her this cake to celebrate her 5th Birthday. 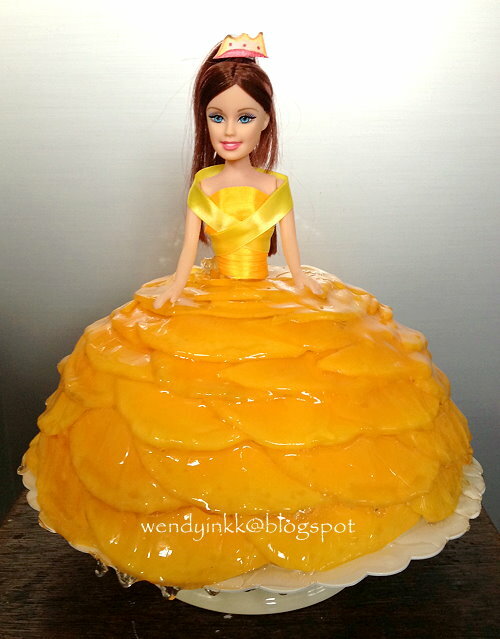 I do try my best to make cakes without food colouring and the best way to make a yellow princess cake, is to use mango. And the mango slices made a nice frilly dress..... I love the outcome of this cake.